Designed specially by Microtek, the Medi-1200 can easily transfer traditional X-ray film into digital format for further use later. Smart-Scan button and dental film templates easily carry out the auto-crop function, scanning and processing multi-films in less than 30 seconds. The Medi-1200 offers 600 dpi optical resolution and 16-bit grayscale, ensuring that your scans will capture all the details presenting in light and darkness areas. Also, the Hi-Speed USB (USB 2.0) interface of the Medi-1200 gives effortless "plug-and-play" connectivity, providing the professionals a smart and easy way to digitize and observe X-ray films. In addition, designed with a space-saving consideration, the Medi-1200 occupies less space, and perfect for clinics. By optional DICOM gateway software, the X-ray films digitized by the Medi-1200 can be easily and quickly integrated with HIS/PACS system. High-speed dental x-ray film digitizing The Medi-1200 has high scanning speed less than 30 seconds. With the special design of tooth shape, Smart-Scan button, the Medi-1200 provides a quick and easy way to launch digitizing function for dental films. 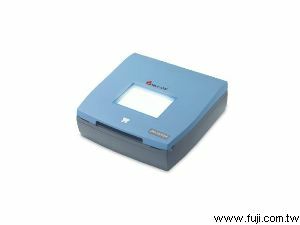 Variety of templates for intraoral x-ray film The Medi-1200 has three kinds of dental film templates which support five sizes of dental x-ray films and allow the dental professionals to scan multi-films at a time. Smart-Scan function The Medi-1200, applied with the templates, auto-crops multi-films individually and completes the scan job at a time. Scans with 600 dpi resolution Featuring with up to 600 dpi optical resolution and 16-bit grayscale, the Medi-1200 delivers impressive image quality, versatility and productivity. Efficiently space-saving design The Medi-1200 occupies less space, which is perfect for clinics.